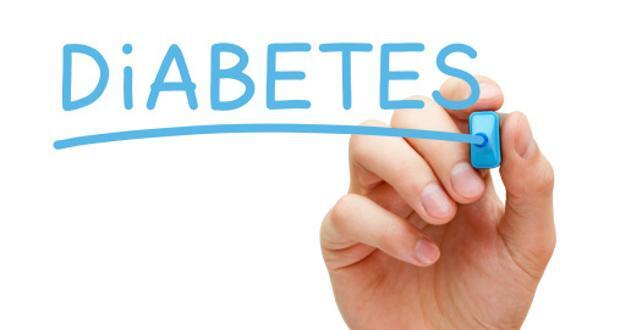 Diabetes is inherent in our family. My grandfather and my grandmother (his sister) died due to the complications of it, my Aunt is currently under strict medication because of it and my Dad is borderline diabetic too. So imagine my fear of this condition as I have a little boy whom I am hoping against hope doesn't win this from genetic lottery too. As a Mom, I want my son to live a happy, healthy and full life, that is why, I am always on the look-out for new things to learn about this dreaded condition. Dr. David Heber - Chairman of the Herbalife Nutrition Institute and The Herbalife Nutrition Advisory Board will help us open our eyes and our mind about Diabesity that can probably save our loved ones lives through the aid of HERBALIFE. Diabesity - commonly known as Type 2 Diabetes is a common health problem today caused by unhealthy urban diet and poor lifestyle choices. According to Dr. Heber, one's diet is full of empty calories and an abundance of quickly absorbed sugars, liquid calories and carbohydrates. Due to this, cells become increasingly resistant to the effects of insulin and as a result, require more and more insulin to even out blood sugar levels. As per the World Health Organization (WHO), nearly 2 billion adults aged 18 and above worldwide are overweight and more than half a billion are obese. And for the first time in human history, there are more overweight than undernourished people in the world. There is a global obesity epidemic driven by diets in fat and sugar content and inactivity. Through research, Dr. Heber found that diabesity should be treated with a light hand - with the right diet and lifestyle changes first - before administering drugs. His research also showed positive results come with a diet consisting of the right proportion of protein (30 percent of daily calories), healthy fats (30 percent of daily calories), carbohydrates (40 percent of daily calories) and fiber (25 grams per day). And when the right diet is balanced with proper rest, exercise and hydration, this results in a sustainable lifestyle that can avoid Diabesity and effect positive change in your body. 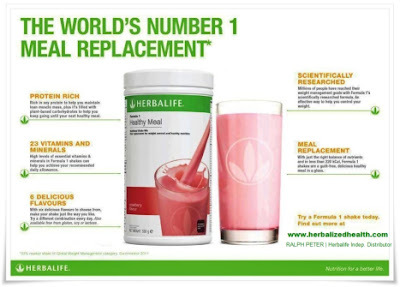 As weight loss has been a part of Diabetes treatment, Herbalife invests in clinical studies that advance understanding of the use of meal replacements for weight loss. Replacing two meals a day with high-protein, low-calorie, meal replacement shakes makes weight loss and maintenance even easier. 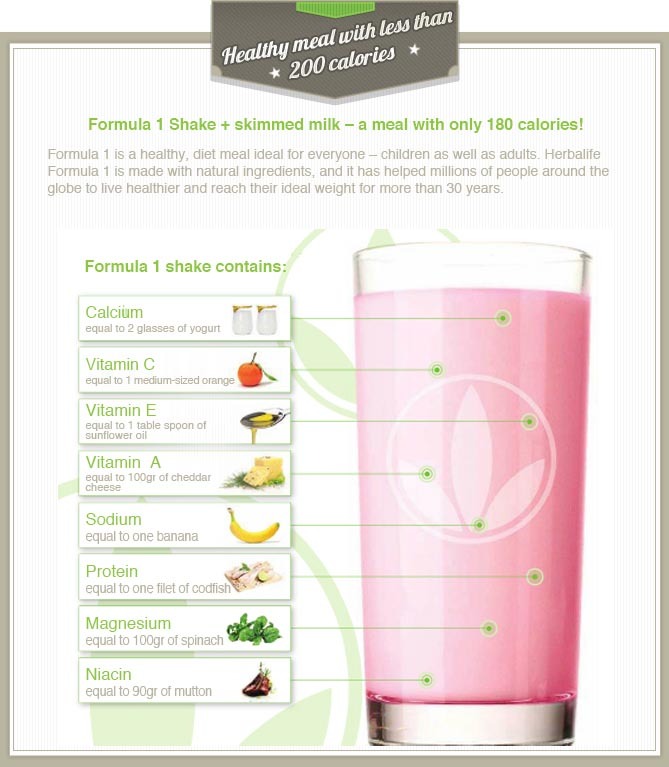 Herbalife’s Formula 1 Nutritional Shake Mix is one that fits the bill. With up to 21 vitamins, minerals and essential nutrients, including 9 grams of protein and fiber in each serving of the Formula 1 Nutritional Shake, this helps to replace unhealthy calories with balanced nutrition. In addition, the Formula 1 Nutritional Shake Mix has been formulated to be low in Glycemic Index (GI), an index compares and measure the carbohydrate-containing foods in terms of how much they raise your blood sugar when you eat them. Studies have shown that in the long run, a healthy diet that is based on low GI foods is associated with a reduced risk of overweight and obesity. I used to be on Herbalife diet myself. I can attest to the wonders their products can bring to your over-all health and self confidence. 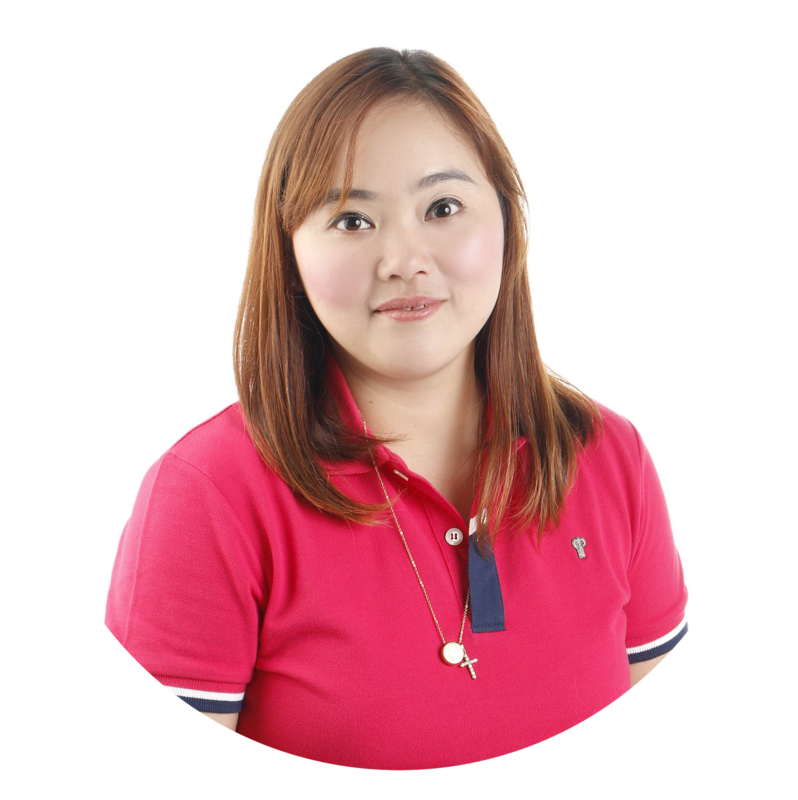 You see, I have been in a constant love-hate relationship with my weight and body shape that I have gone through so many fad diets only to discover, HERBALIFE has the solution. I have then since stopped using Herbalife because I gave birth and all my money had to go to childcare expenses, but now, I am determined as ever to regain the old me (physically) with the help of HERBALIFE. I figured, no amount of money can measure up to the wonderful effects of being healthy. Dr. Heber also advised other good choices to make in order to battle Diabesity such as choosing wholegrain bread over white bread, wholegrain cereal instead of instant cereal, fresh fruits instead of fruit juices, brown or long grain rice instead of the white short grain variety. You can refer to my recent article about 9 Food Swaps That Can Make Your Diet Healthier to guide you about better food choices. photo grabbed online. credits to the owner. This is so informative. 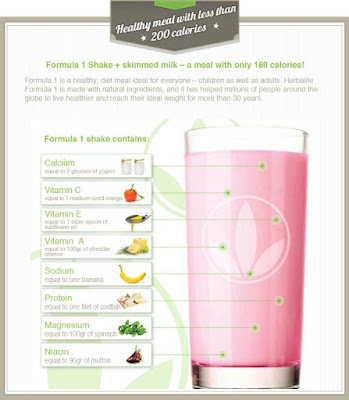 I really thought herbalife has only one product - the shake mix. They have several products pa pala. And I thought it is just for dieting alone, it has health benefits din pala. Thanks for this, now I know. I have heard of Herbalife from my mom before, but never actually tried it. 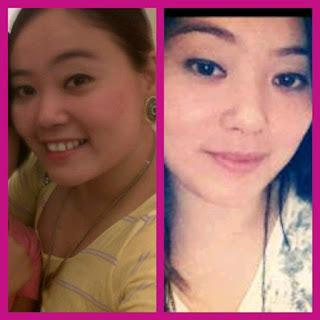 It does make a big difference with you and hope you could stay healthy & fit with Herbalife. Sounds interesting! Will definitely recommend this to my friends/relatives who has diabetes. My mom has Type 2 diabetes, so we're closely monitoring her diet. To avoid having diabetes, I try to limit my daily sugar intake. I'll check out Herbalife, too. Thanks! Check it out sis. definitely helpful! My mom has diabetes too and I think this will suit her diet. I'll check on it. Thanks for the information. Don't forget to consult her physician ha? We have a history of diabetes in our family also, will ask my mom to try herbal life. My mom also have diabetes, and problem with the overweight, she solved it using Herbalife Formula 1 Shake http://weightlosstop.com/herbalife_formula_1_review.php I think it is the best weight loss products for people who have diabetes. Fat burning pills are at times suggested yet never purchase the diet pills without a specialist's remedy. Indeed, even with the pills https://www.phenqultimate.com/ exercise is imperative thusly despite everything you require a weight loss program to remain sound.